INICIA UNA CARRERA LUCRATIVA EN EL AREA DE BELLEZA, COMIENZA A OBTENER INGRESOS A DIARIO CON TECNICAS DE GRAN DEMANDA. NIVEL BÁSICO: TEORÍA, ANATOMIA, MATERIALES, PREPARACIÓN DE UÑAS, PEGADO LIMADO, VISTO Y ACABADO, RETIRO DE ACRILICO, RETOQUE. 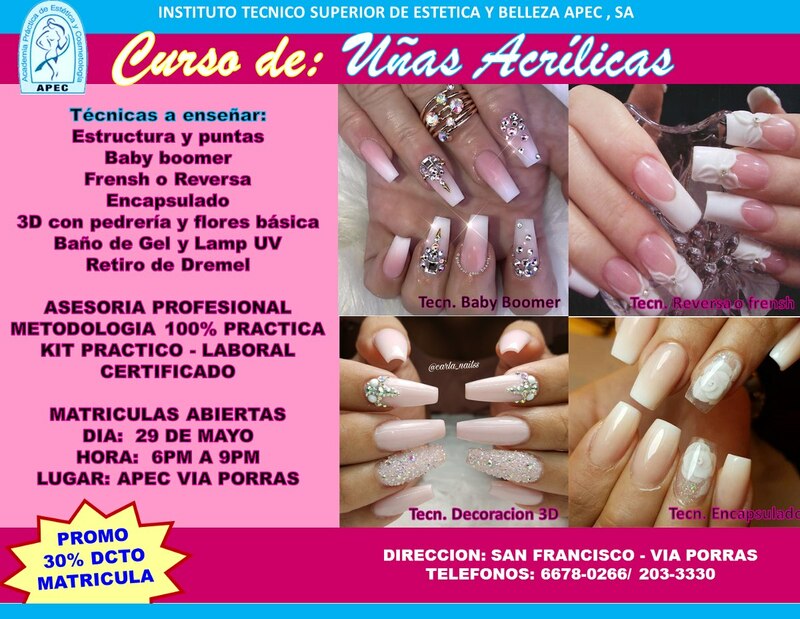 NIVEL INTERMEDIO- AVANZADO: TÉCNICAS ESCULPIDAS: STILETTO, BALLERINA, BAÑOS EN GEL Y TÉCNICA DE BABYBOOMER Y REVERSA, ENCAPSULADO 3D Y DECORACIÓN EN RELIEVE CON PIEDRERIA Y FLORES BÁSICAS. 5 CLASES PRACTICAS CON KIT BÁSICO DE MATERIALES Y CERTIFICADO.